The Japanese company made 160,000 Honda Civics in Swindon last year, of which some 90% were sold to the UK, Europe and US. Honda has yet to make a formal announcement, and the Prime Minister's spokesman said Theresa May would not comment until an official confirmation. But local MP Justin Tomlinson said he had spoken to Honda, which confirmed it was consulting with "all staff". "There is not expected to be any job losses, or changes in production until 2021," Mr Tomlinson said. Simon Jack: Is Japan losing faith in UK? The Unite union said the reports, if confirmed, would be a "shattering body blow". National officer Des Quinn said: "The car industry in the UK over the last two decades has been the jewel in the crown for the manufacturing sector - and now it has been brought low by the chaotic Brexit uncertainty created by the rigid approach adopted by prime minister Theresa May." As well as having a "grave" impact on workers and their families, it "will also affect thousands of jobs in the extensive supply chain across the country", he said. A spokesman for Prime Minister Theresa May said it was "only right that we wait until the company has spoken with the workforce" before commenting. But he pointed out that car demand had fallen since new diesel emissions rules were introduced across Europe. "That big drop in demand by consumers is bound to have a knock on effect with producers," he said. Martin Huggins, a Honda worker for 25 years said: "We haven't heard anything at all- all we have seen is what is on our phones. "The management have told us nothing at all. This will be a sad day for Swindon as a whole, not just the workers but all the subsidiary companies that go with it." Honda's Swindon plant produces both VTEC turbo petrol engines and diesel i-DTEC engines. And Toyota and Jaguar Land Rover have expressed concern about the risk of a potential no-deal Brexit in recent months. Last week, Ford warned that a leaving the EU without a deal would be "catastrophic". The EU and Japan recently struck a trade deal which lowers tariffs on both parties' car exports to zero. James Atwood, deputy editor of Autocar magazine, said this could be a big factor behind Honda's decision. 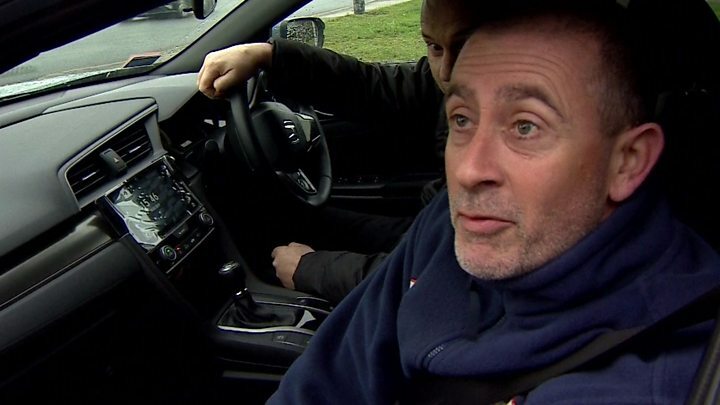 "It allows Honda to produce their cars in Japan where most of their plants are and then ship them to the EU without having to pay the import tariffs they have been, which does reduce one of the reasons for needing a plant in the UK," he told BBC News. BBC business editor Simon Jack says the trade deal certainly "means a dwindling rationale to base manufacturing inside the EU". He said: "Production at Swindon has been in decline for some time and is currently running at about half its capacity - another strike against it. But, having said that, Japanese companies are very long term investors. "Sony and Panasonic moved their European headquarters to the EU. In each case, the rationale was slightly different. But many in Japan feel failure to provide Brexit certainty have loosened the ties that used to bind the two countries." The company said the move was to ensure it could adjust to "all possible outcomes caused by logistics and border issues". Ian Howells told the BBC that quitting the bloc without an agreement would affect the carmaker's competitiveness in Europe.